Traveling by train in the early 1900s was a messy business. The ash from coal would cake unfortunate passengers like pieces of overdone barbecue. The Lackawanna rail company, which made the majority of its money shipping cleaner-burning Anthracite coal from its Pocono mines, created an ad campaign to increase demand. It revolved around the character Phoebe Snow, whose confidence in Anthracite was so profound she would make her commutes decked out in 100% fancy white clothes. In a column from 1929, Walter Winchell explains that the Alexander, a popular drink at the time, was created by bartender Tony Alexander for a dinner celebrating the success of Ms. Snow’s ad campaign. 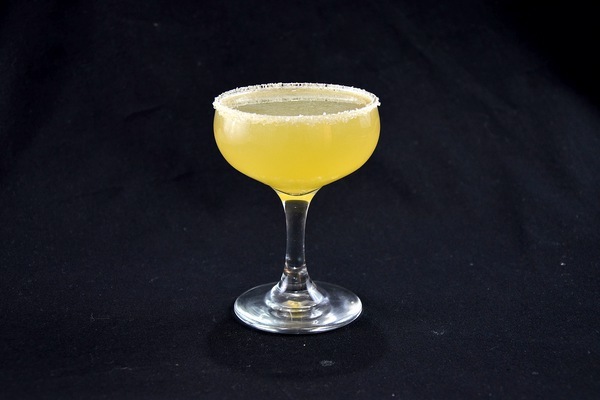 Mr. Alexander wanted a drink that resembled the character’s unsoiled clothing, so he mixed something with a thick white hue and named it after himself. While the Lackawanna story is compelling, it may have been fabricated by Winchell to rebuff New York Magazine writer Alexander Woollcott, a theatre critic who frequently claimed the cocktail was named after him. The earliest known printed version of a Brandy Alexander can be found in Hugo Ensslin’s 1916 book Recipes for Mixed Drinks, alongside the original Alexander. 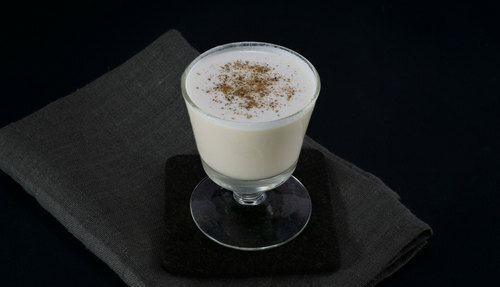 The holidays are not short on decadent drinks, but the Brandy Alexander has become a favorite in our book because of its directness. This drink is about chocolate and cream, and doesn’t really bother with much else. Brandy makes a brief appearance at the end, and nutmeg is awesome as usual, but the priorities of this recipe are clear. On the nose, it offers a decadent whiff of nutmeg and chocolate. On the tongue, it is basically all chocolate all the time, before finishing with a splash of fiery brandy. It’s a beautiful off-white color with a nice, frothy head. 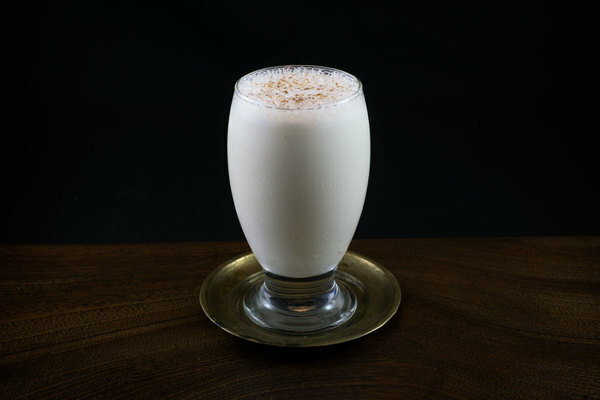 It shares similarities with several other creamy holiday drinks including Baltimore Eggnog, milk punch, and one of our in-house favorites: the stardust. Depending on your audience, different levels of booziness may be employed. The classic formulation uses equal parts, a ratio that might please some booze-o-phobic family members, but we wouldn’t make it that way for ourselves. We find it to be a bit too milky, and the brandy painfully absent. 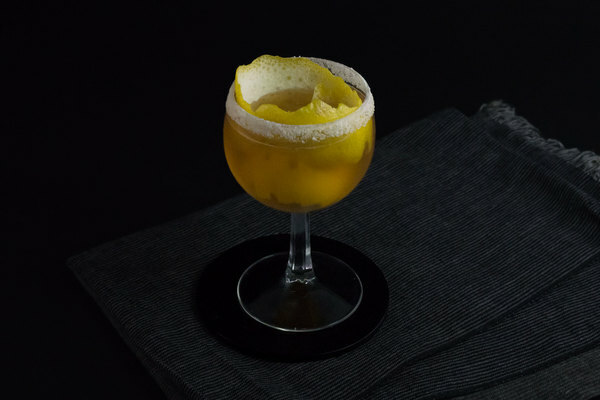 Gary Regan likes two ounces of brandy in this drink, which seems like a lot, but might work with a sweeter creme de cacao. We use the dryer Tempus Fugit Cacao, which does well with the ratios listed here. If you only have half and half, don’t sweat it. Cream does make a superior drink however, with a silky texture and hefty character. Milk, whether skim or whole, should be avoided here, as it tends to result in a beverage that tastes like alcoholic chocolate milk.